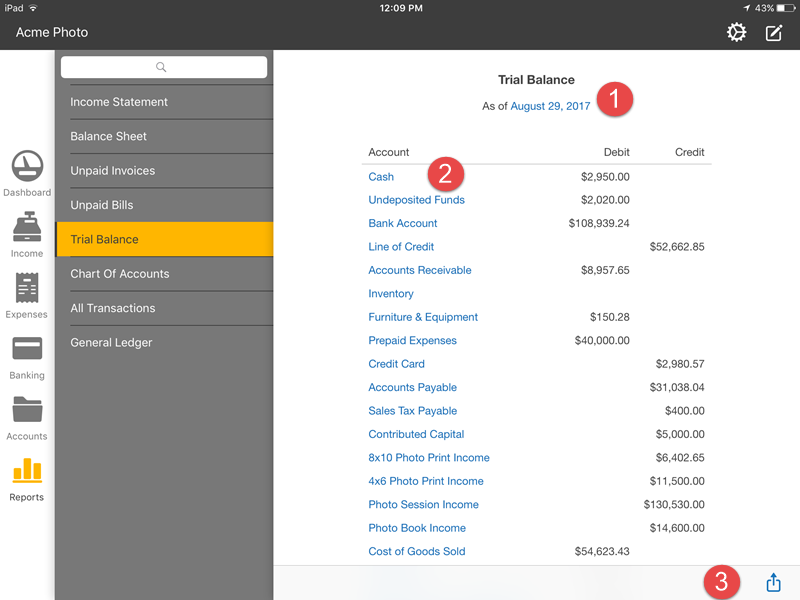 Learn how to get the most out of your reports on your iPad. The Reports section can be accessed by tapping on Reports from the list view. To view any of these reports, simply tap the name. 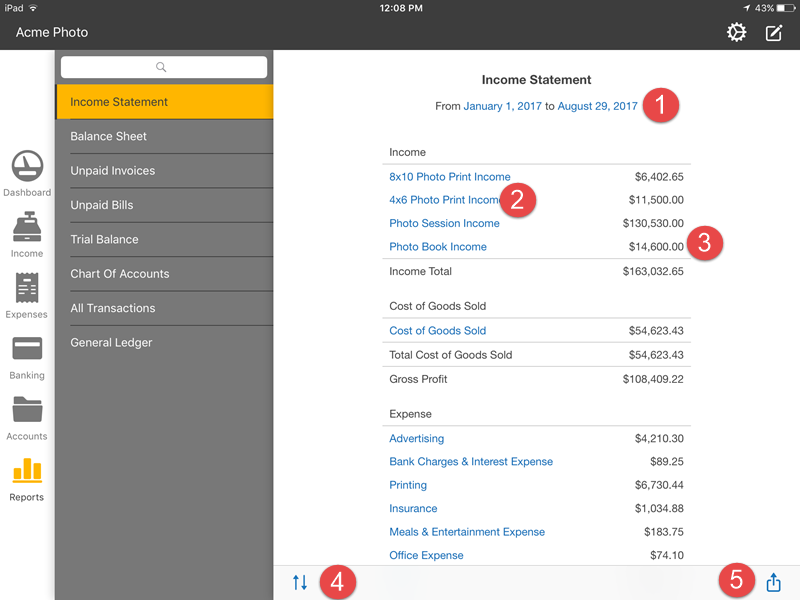 The Income Statement report shows you all your sales & expenses within a specific date range. 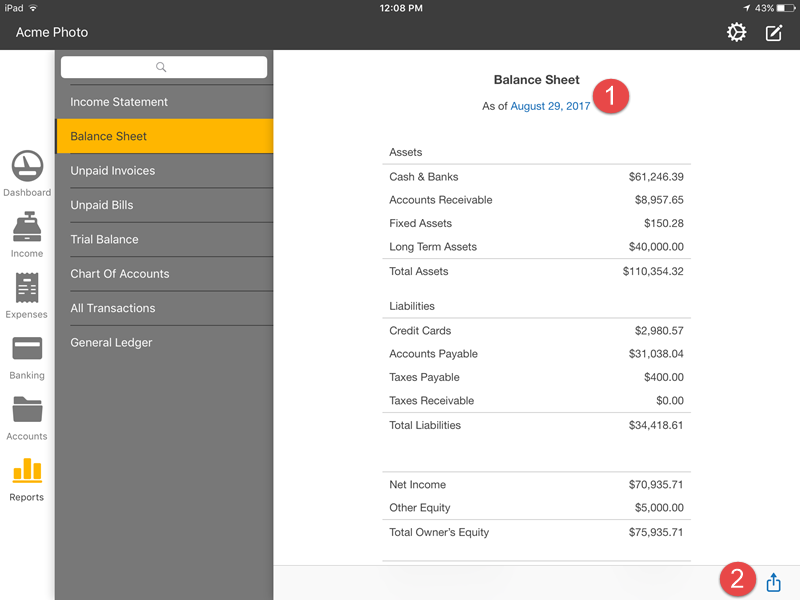 Your balance sheet report will show you your asset, liability, and equity accounts and their balances at a particular moment in time. This is a list of who owes you money. These are the invoices that have been issued to clients but have not been paid for yet. At the far right is the total amount owing for each client. The bottom right shows the Grand Total of invoices owed, by client, and in total. 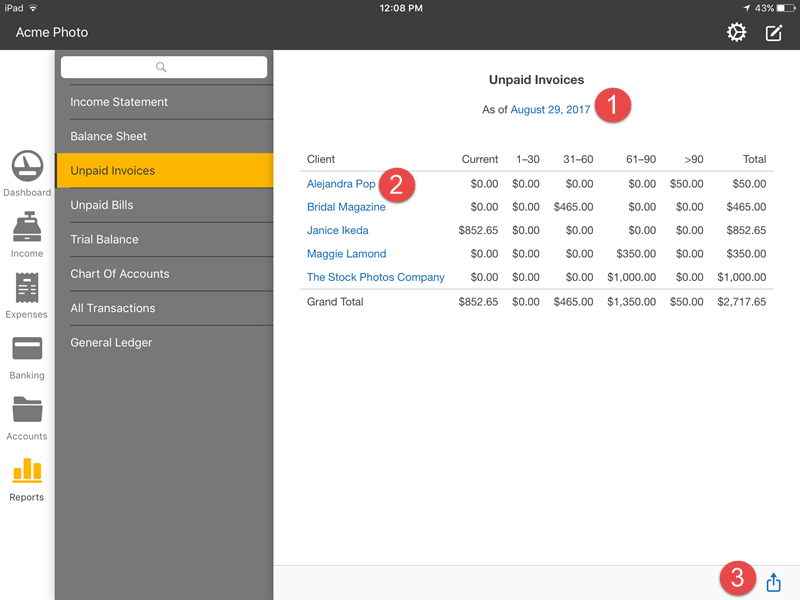 Unpaid Bills looks and functions exactly like Unpaid Invoices, but it shows Suppliers that you owe money to. Unpaid Bills will give you a good handle on how much money you owe, to whom, and when that money is due. This Trial Balance is a report your accountant will want come tax time. It shows all your accounts and their balances. This is a listing of all your accounts and the type of account they are. 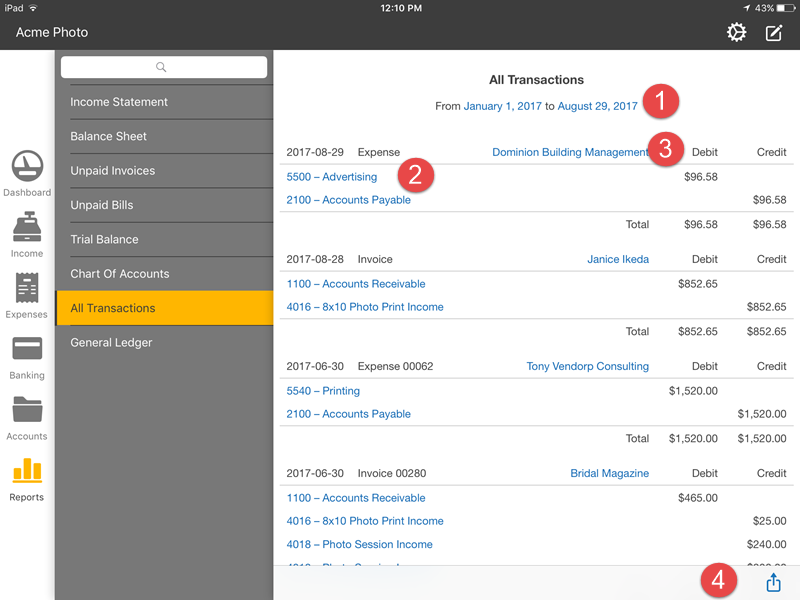 This shows every transaction made in your business in chronological order. It’s like the All Transactions report but instead of organizing transactions by date, it sorts them by account. You can change the to and from dates.